Looking for Oven Repairs in Adelaide? 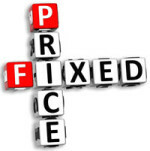 Look no further, Adelaide Oven Repairs is the first to offer a “Fixed Price Repair Service” for many common oven/stove repairs. Having a large stock of spare parts in a warehouse or workshop is useless. The only spare parts that count, are the ones the technician carries in the van. Because it is only then that the job can be completed during the first visit. That’s our goal! To complete over 85% of our jobs at the first visits. Please note you have to log-in if you are already registered, or if not, you have to register first in order to view our fixed online pricing.